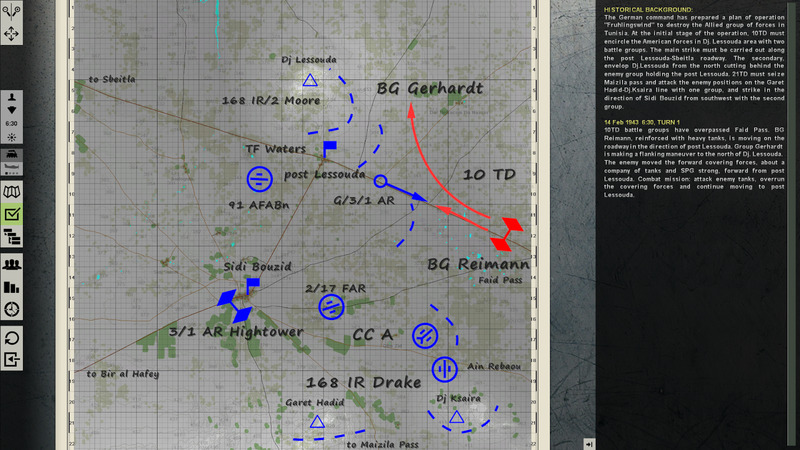 Graviteam Tactics; a lot of gamers have a love and hate relationship with this stable of games. The games themselves are stellar, but the complaints in the past were always about the UI and the patching process. The appearance of these games on Steam took care of the patching problems. The UI has been worked on since the first release. Their original foray into this type of game was 'Operation Star'. 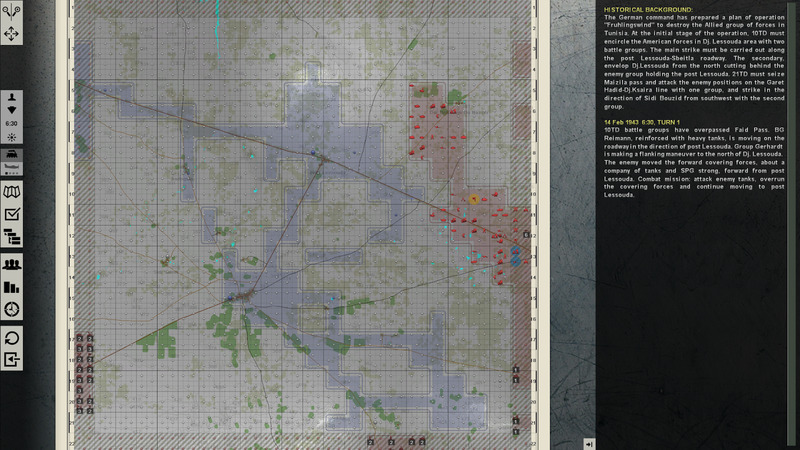 This was a simulation of the battles between Germany and Russia in 1942. 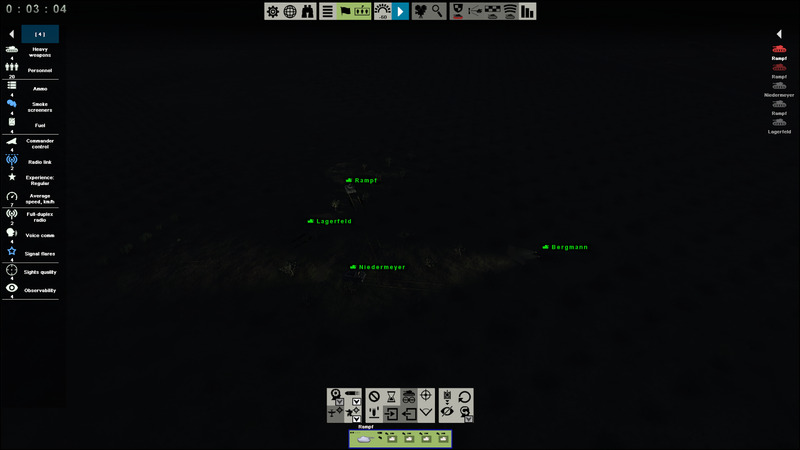 The game was successful enough to spawn a large amount of DLCs. The next release was 'Mius Front'. 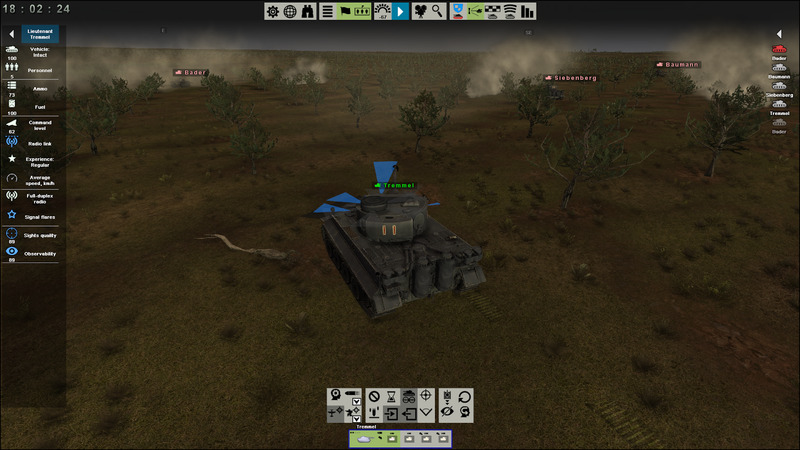 Much of 'Tank Warfare' will be familiar to anyone who has played 'Mius Front'. So this is their third release using this format. 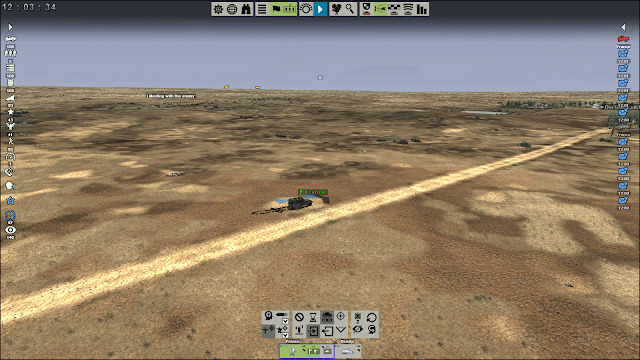 'Tank Warfare Tunisia 1943' is about the battles in Tunisia between the American Army and German Army. It is a bit of a mouthful to swallow at one time. Graviteam has endeavored to recreate World War II battlefields with as much reality and history as possible. They have also strived to do this with as much eye candy as you can imagine. The great thing is that even with the patch and UI hiccups, they have improved with each incarnation. In reality, they have succeeded more than most people actually dreamed they could. It is pretty impossible to put into words what Graviteam has made possible for us grognards. I have become completely entranced while watching my troops take part in night time firefights. The game is modeled down to the headlights on the various vehicles. 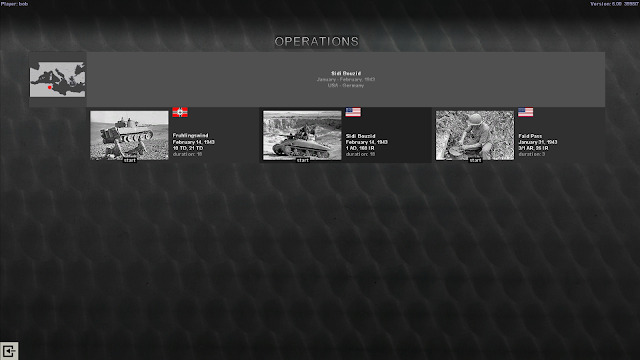 The game has three campaigns/operations, two large and one smaller one. Of the two, there is one for the Germans and one for the Americans. There are a number of smaller scenarios to battle through. 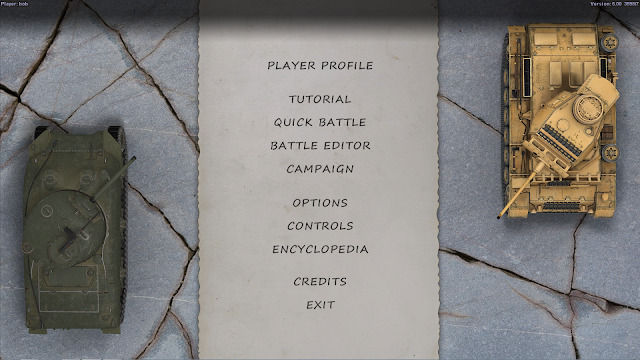 The battle editor is actually able to be used in two ways. 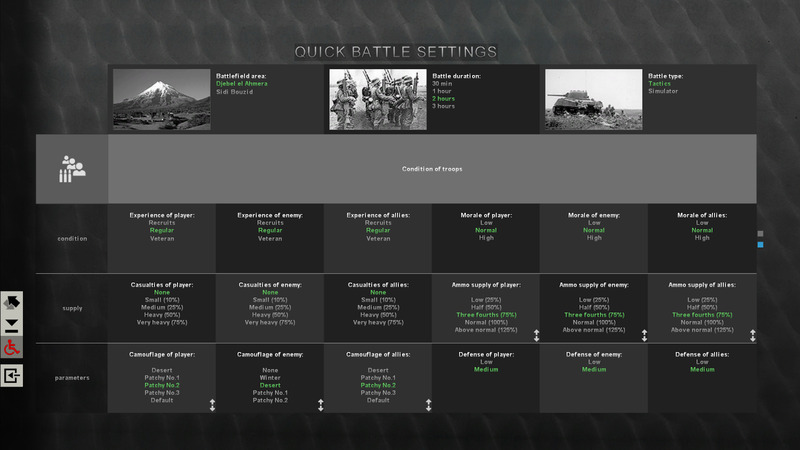 First, as a standard editor, and secondly as a a 'Quick battle' generator. The tutorials are also well done and all inclusive. With their use you will be armed and primed in no time. There have been no statements as of yet about upcoming DLCs to round out the other nations that fought in North Africa such as the English and Italians. 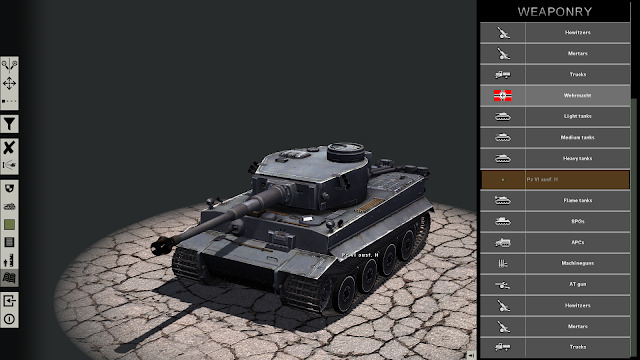 Judging by Graviteam's past history there will be plenty of them to go around. We now have to address the pink and polka dotted elephant in the room. "Tank warfare' is a wargame. It is a historically accurate simulation of the 1943 Tunisia campaign. Yes, the battles in it do take place in real time. I think that giving it the moniker of a RTS game is highly deceiving. I have seen complaints and reviews knocking the game because it is not frenetic enough for the twitch crowd. 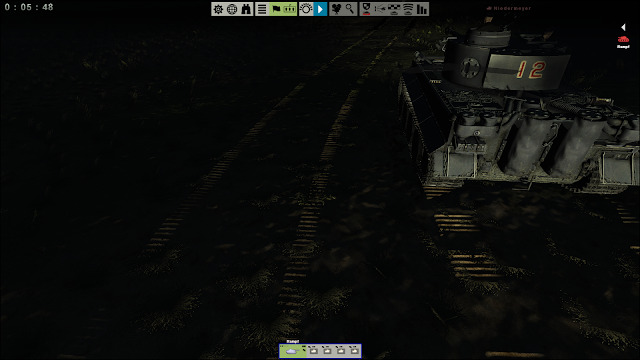 "Tank Warfare' was built from the ground up as a simulator of World War II battle. In this it succeeds admirably. To try and compare it to 'Command and Conquer' etc. does a disservice to both. I think some people saw the term real time and just assumed it would be a normal RTS game. All I can say is welcome to my world. For the past twenty some odd years, my ears have perked up and my heart rate has picked up whenever I saw or heard the name Hannibal. My hopes would be dashed once again when I found out they were discussing a fictional serial killer and not Mr. Barca. The game setting on first glance may seem as empty and flat as a chess board and without any terrain features to help or hinder us budding generals. In this it is deceiving. On closer inspection you will find that the terrain is nowhere near as empty as the first glance suggests. One of the best features of a lot of the maps is the large territory that you are given to use to approach battle. There is nothing more annoying than being given an excellent wargame system and then provided with postage stamp size maps to fight it out on. This increases the playability immensely. You can try out tons of different strategies given the amount of territory the game gives you to use. For those of you who, like me, have everything Graviteam has done, this is an instant purchase. For you others out there give it a try. You might just get hooked like we did. Hi Robert, you did a great job describing the game! 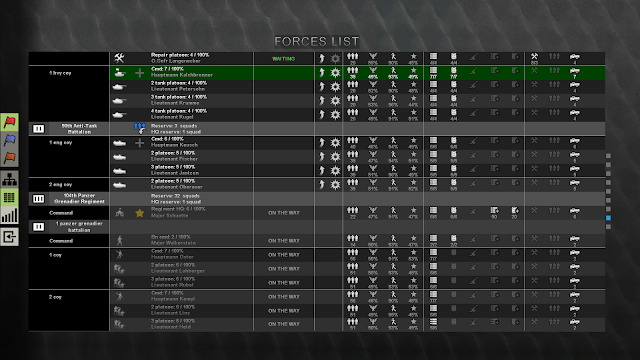 Great game, as you say for the graviteam fans is a must and for the uninitiated is time to go for this one. Every wargamer should play it. The campaign is something, with all kind of possibilities. Really appreciate for providing these in formation on mechanical Panel Beater. I needed a good mechanic so that he could repair my car.